We’ve all seen, cooked and tasted so many dishes from seafood and fish. Just thinking about it, all you have to do is close your eyes and you can see a dinner table full of tasty seafood and delicious fish. If that doesn’t bring you to the seaside with a delightful smell of fresh cooked seafood, nothing else will. And while there are so many recipes to choose from, we’ve selected a few of the healthiest, easy to make and absolutely delicious seafood and fish snacks. It’s the perfect choice if you’re getting ready for a dinner party for any occasion. These snacks are great with a glass of wine or as an appetizer. Crab and gouda stuffed mushrooms is a delicious snack of a mild flavor. Dijon mustard and cream cheese make this snack exquisite. We insist you to try this recipe. These crispy crab rangoon egg rolls with cheese and veggies make a great starter. Your kids will love the slightly sweet flavor too. You’ll like this snack if you like sushi. 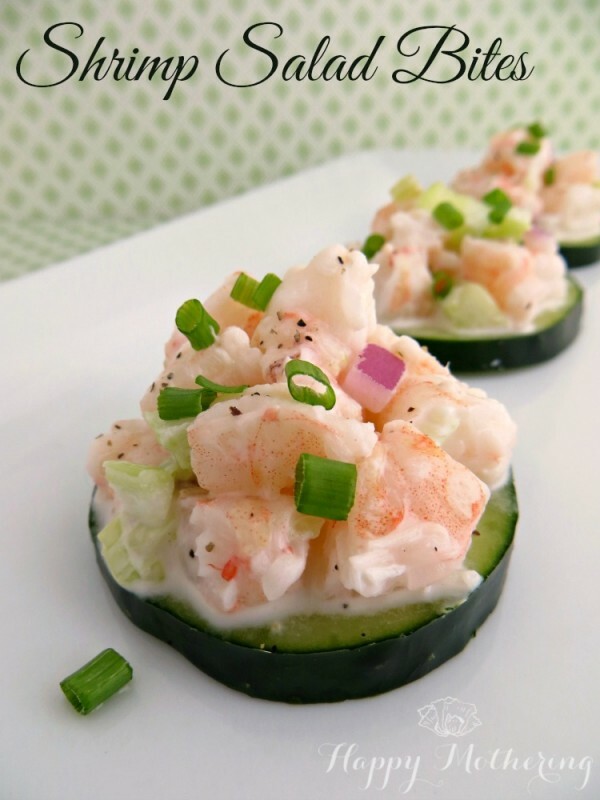 Asian spices make this shrimp avocado tower slightly hot and very flavorful. Everyone likes salmon and this snack is quick and easy to make and very delightful. The croquettes are great served with a sriracha dip. It’s a great, easy and tasty snack. Seafood and veggie stuffed avocados look great and make a great delight at the dinner table. This shrimp cocktail tastes as good as it looks. It’s easy to make and everyone who likes shrimp will ask for more. These fresh lemon garlic shrimp kabobs make an easy way to cook a snack. Make more of these because they’ll fly off the serving tray. Shrimp snacks are the most popular among seafood snacks so here’s another recipe for your judgement. These shrimp salad bites will look good on a dinner table and naturally they’re very delicious and healthy. Here’s another easy way to prepare a quick but delicious snack with crab and cream cheese. 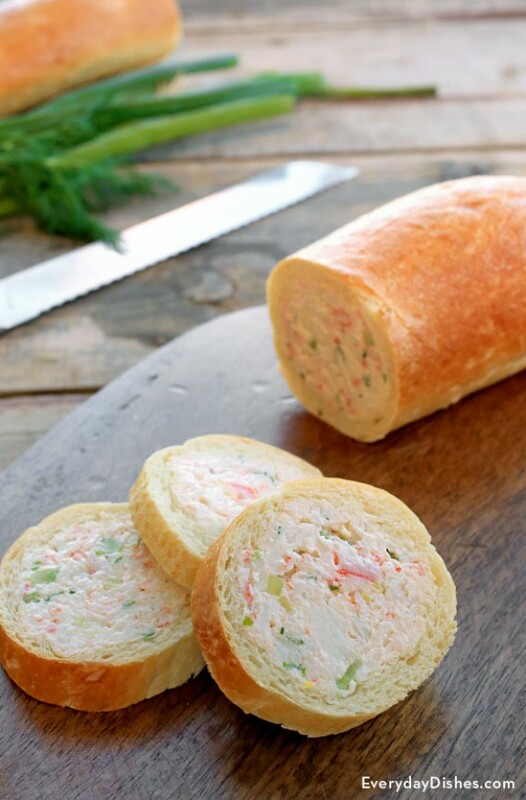 This recipe is for crab stuffed baguettes that are beautifully served in slices. They look unusually but tasty. These seafood pancakes have an exquisite flavor. Lots of veggies and seafood with a touch of ground beef make it a delightfully refreshing recipe. Spring rolls make a quick and tasty snack so we invite you to make some with shrimp. The slightly sweet flavor of the shrimp will only make the rolls better. Best served with a spicy dip. Crab meat au gratin is a fantastic appetizer of an exquisite flavor. Best served with crackers but it’s so good you can easily eat it with a spoon. 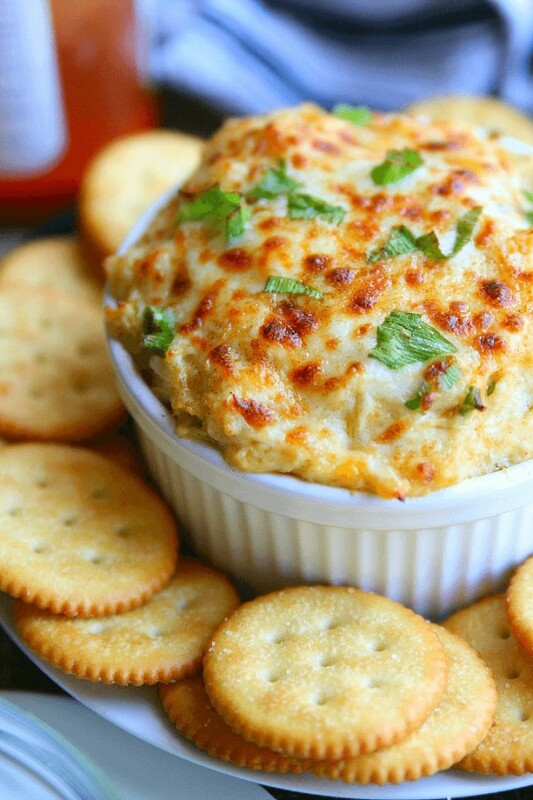 Here’s another fantastic combination of crab meat and cheese in a delightful snack. It’s easy and quick to cook and very convenient to snack on. Try this recipe and treat your family members and guests. This snack looks original and tastes good. 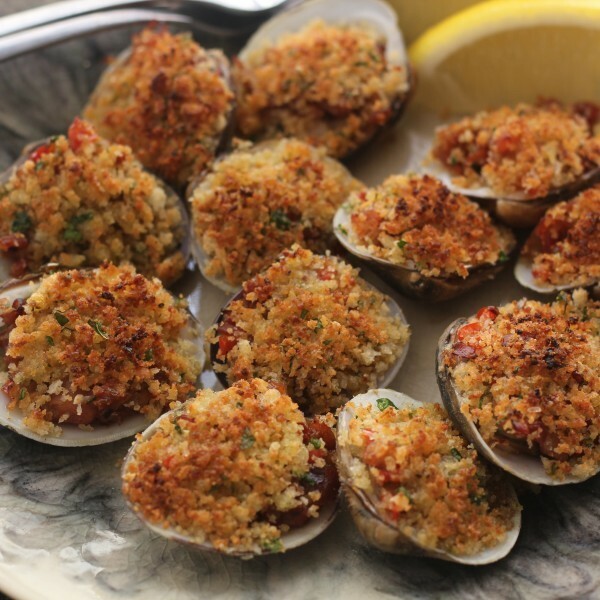 Clams stuffed with seafood, bacon and cheese won’t go unnoticed on a dinner table. 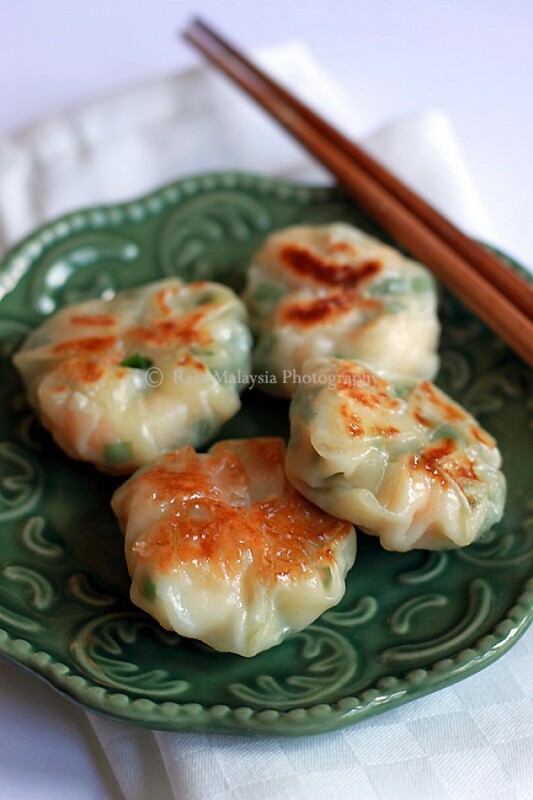 Treat your guests with delicious Asian style chive and shrimp dumplings. These dumplings are very moist and can be served with a dip of our liking. Seafood nachos? Try this unusual but delicious recipe. These shrimp and crab nachos are crispy and tasty with a spicy touch of jalapenos. 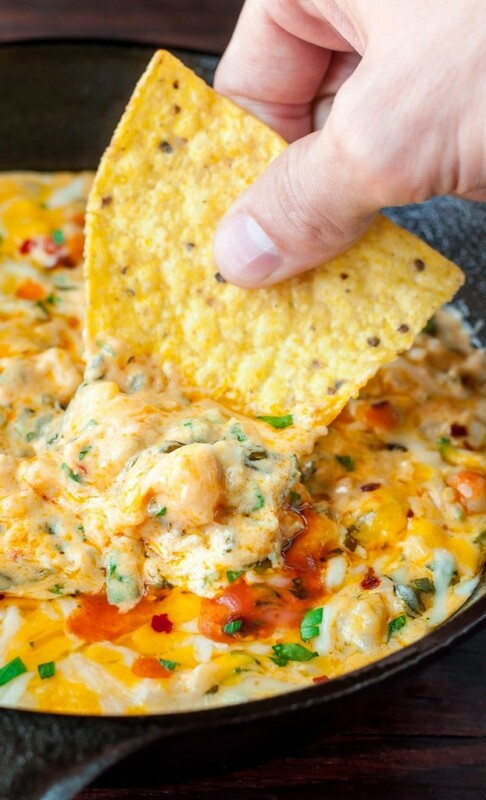 Have a look at this cheese and shrimp dip. It can be served with just about anything – nachos, chips, crackers, bread sticks and so on. A delightful salmon appetizer that goes well with wine. It’s very easy and quick to prepare and served in small bites makes an easy light treat. Crispy crab wontons with cream cheese are made only better with green onion that adds a refreshing flavor. Your family will enjoy them! These lobster wontons make quite a luxurious snack and they can easily be the pinnacle of your dinner table. They’re surprisingly easy to make and are absolutely delicious.